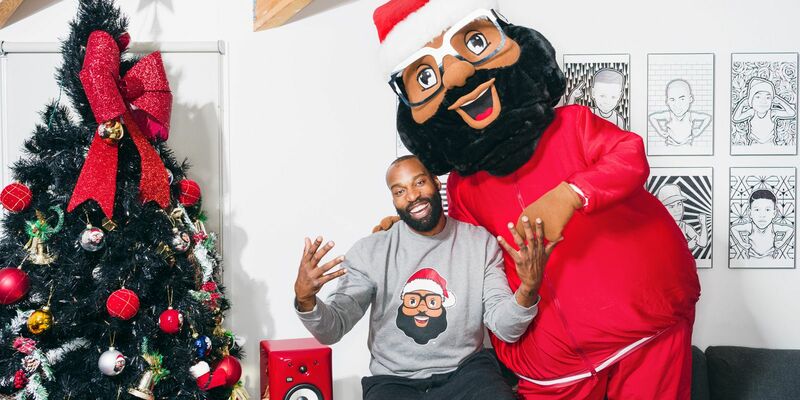 Former NBA player Baron Davis designs and creates holiday merchandise through his company Black Santa. 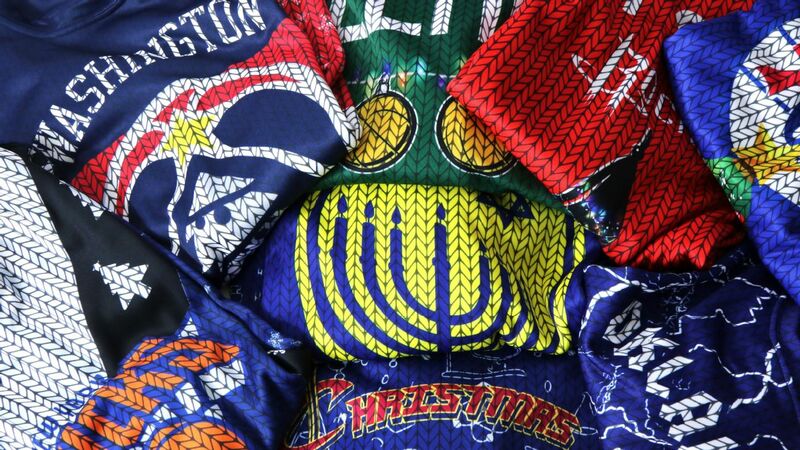 This year, ESPN commissioned Davis to make ugly sweaters for the matchups on Christmas Day. The inspiration for the Black Santa company came from Davis' desire to create content that puts a positive light on African American culture. 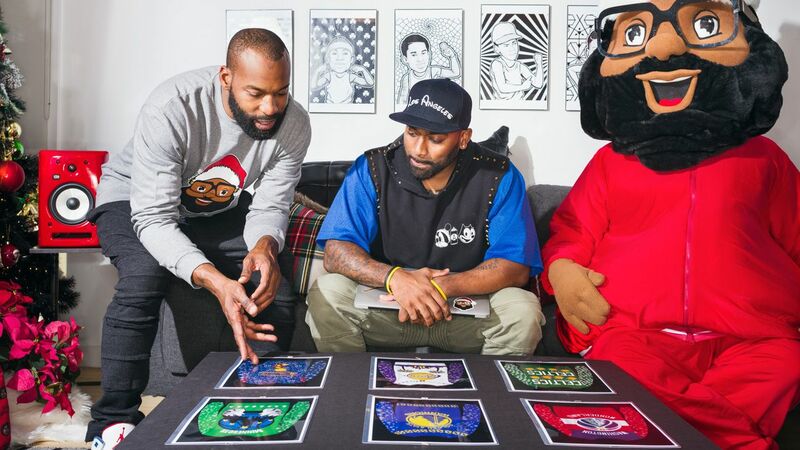 He trademarked Black Santa and developed it as both a brand and a media company -- one that focuses on positive African American narratives, as well as a brand that offers apparel and merchandise surrounding his Black Santa character. "Our team over here at the Black Santa Company decided we all love sports and, obviously, we all love the holidays, so we wanted to build inspiration off of how I view what Christmas would be like this year -- not only for these [NBA] cities, but kind of personalizing it and what this team or what this influence means to me," Davis said. "This is a part of my storytelling and my solution to the status quo of racism and the negativity surrounding our country and our world. 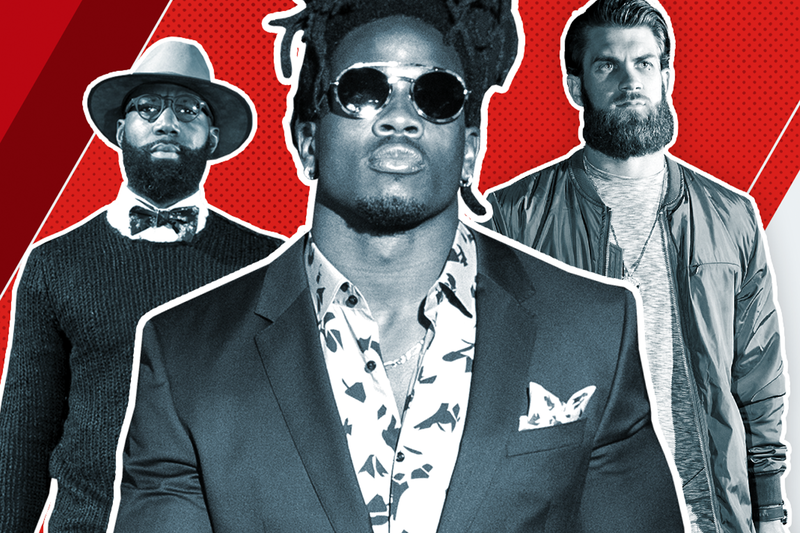 We need to have a solution, and it needs to be fun and something that no matter what celebrity or person or basketball player, I need this to resonate with the people it's going to resonate with." 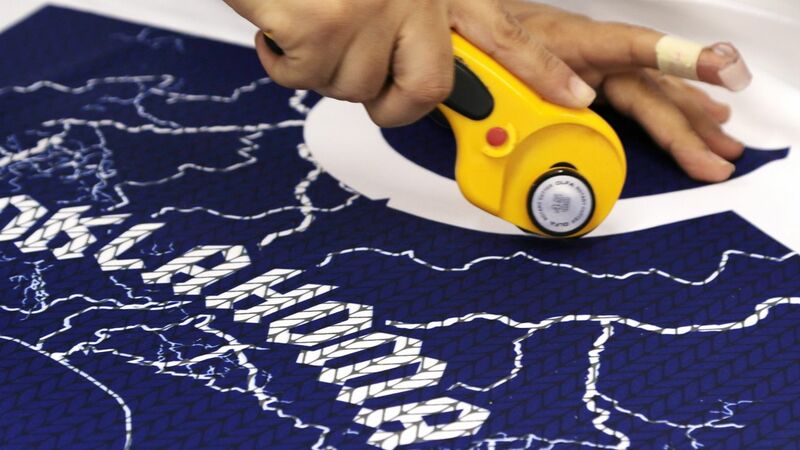 "I honestly say I got lucky when I was thinking of the company because the trademark and the license was there, and when I started thinking of it, I became more appreciative," Davis said. "I think the first thing I did was go into a shell, because I really wanted to make this happen because it says so much about what we're going through in the world and in society today." 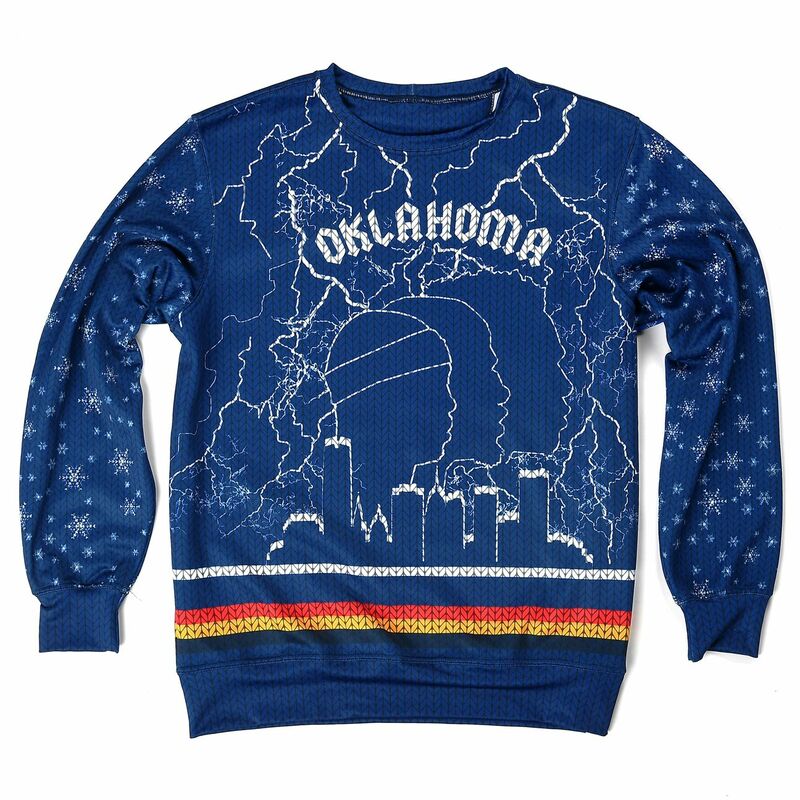 "I always see Russell [Westbrook] wearing AC/DC shirts and rocker tees, so I wanted to put OKC in the AC/DC font," Black Santa illustrator Mike Farhat said. "It's not fun if you're sitting on the bench and aren't playing during Christmas," Davis said with a laugh. "Damn, dude, I could've been watching this at home with my family. As long as you get some camera action on Christmas time, it's OK."
"This is a part of my storytelling and my solution to the status quo of racism and the negativity surrounding our country and our world." Philadelphia is really going to have a good Christmas this year. It was almost like, "Alright, Philadelphia, you get this huge Christmas tree because you've waited long enough. 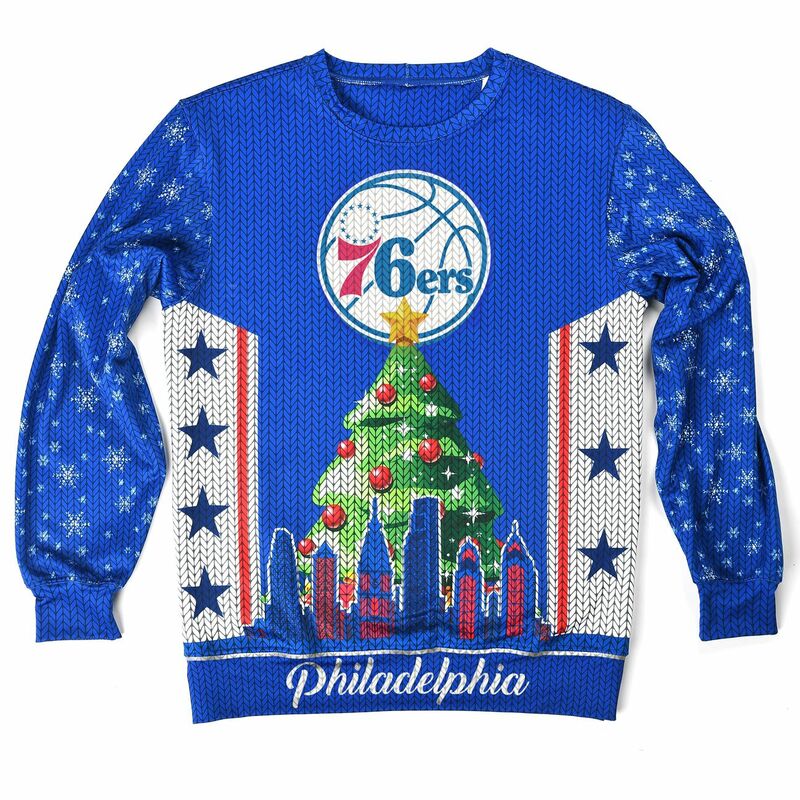 You have been a startup, in the same inspiration as the Black Santa company, so we are giving you this huge tree and your gift is [Joel] Embiid and the talent that they have now." The people in Philly have big hearts and big spirits, so we wanted to give them a big tree. They're having a big year as a sports city with the Eagles and the excitement of the 76ers. Big Christmas tree, big process. 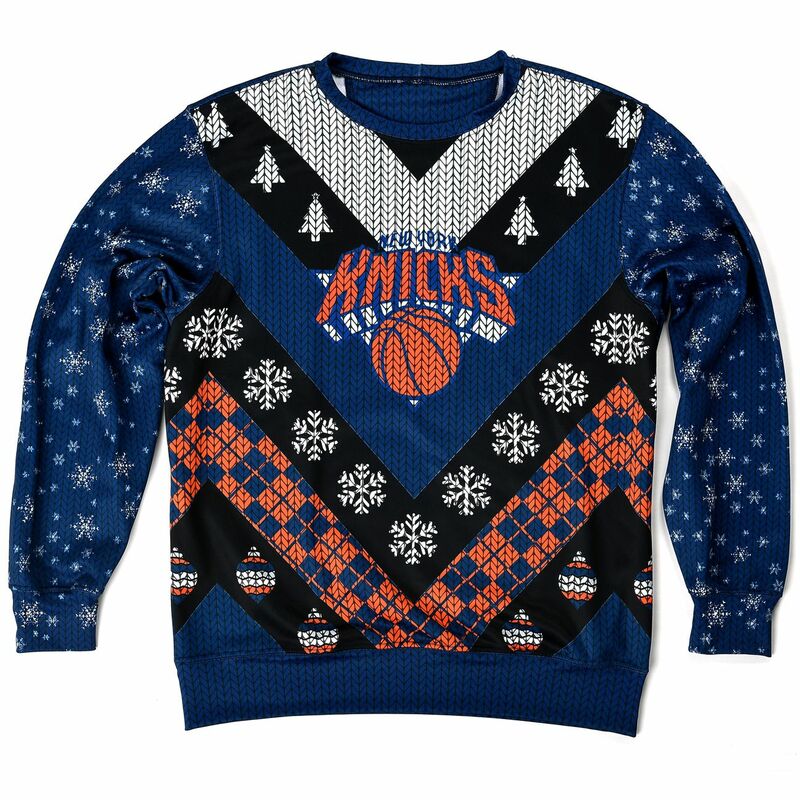 I got signed to the Knicks right before Christmas, so it was going to be my first Christmas in New York, and I was still hurt. I wound up getting caught in one of those, "Hey, where are your friends, you don't ... uh, oh, it's Christmas and you don't have anywhere to go." We had a game day, but I was on the bench, so when the game was over, everybody was like, "Here, you wanna go, you wanna go?" And I said, "Nah, I'll just go back to the hotel and just kinda get settled." I took a little nap and I was like, "Oh, like, today is Christmas, dude." I just kinda low-key missed Christmas, but I was starving and all I cared about is Christmas dinner, and so I went out and I started calling around because I didn't want the food at the hotel -- I mean who wants hotel food on Christmas? -- so I called around, and I couldn't find anything to eat. I saw a Chinese place, and I was complaining to my boys back in L.A., and they were like, "Man, are you kidding me? Chinese food on Christmas -- man that's a New York Christmas, you are winning!" And so that's the inspiration. It's called "New York Nights" because this was my first Christmas night in New York. 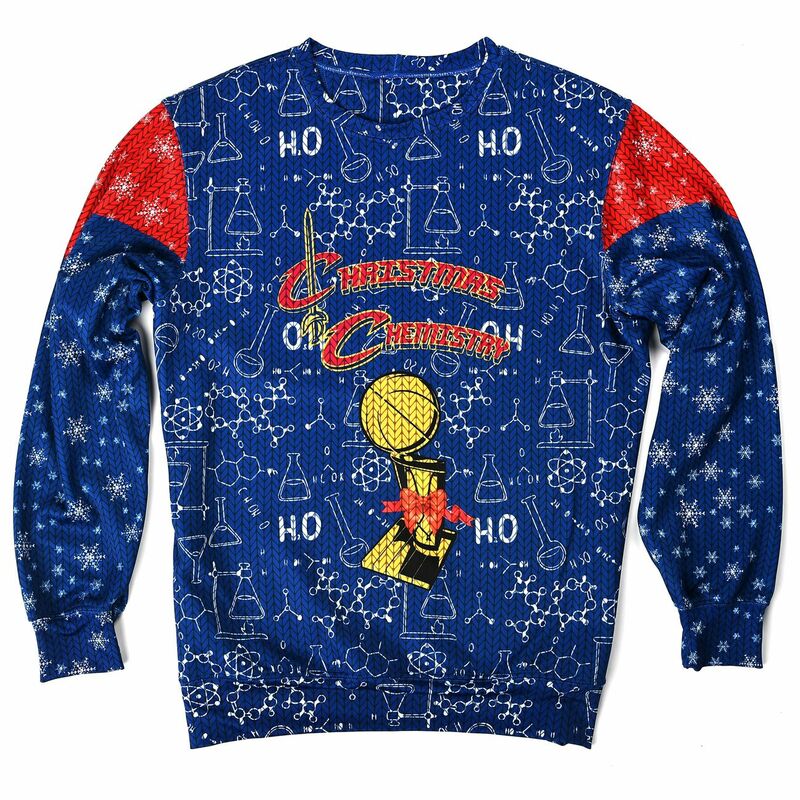 It's all about Christmas chemistry. When they got off to a bad start, everyone was talking about chemistry, chemistry, chemistry. But you don't really know what the right ingredients are until you mix it, and they have a lot of component elements to their team. The chemistry for them is going to be a thing throughout the season, and if they can put those right explosive components on the floor at the same time, then you will see what you're seeing now. And, obviously, that's why we put the championship there, because to us, they're the next viable suitors outside of the Golden State Warriors. 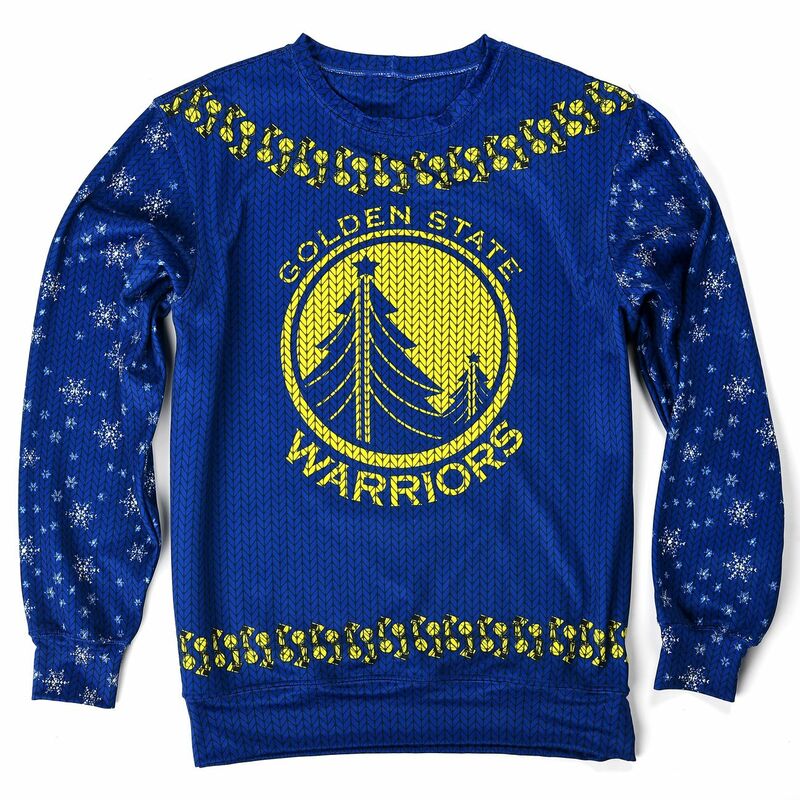 This sweater is pretty self-explanatory. 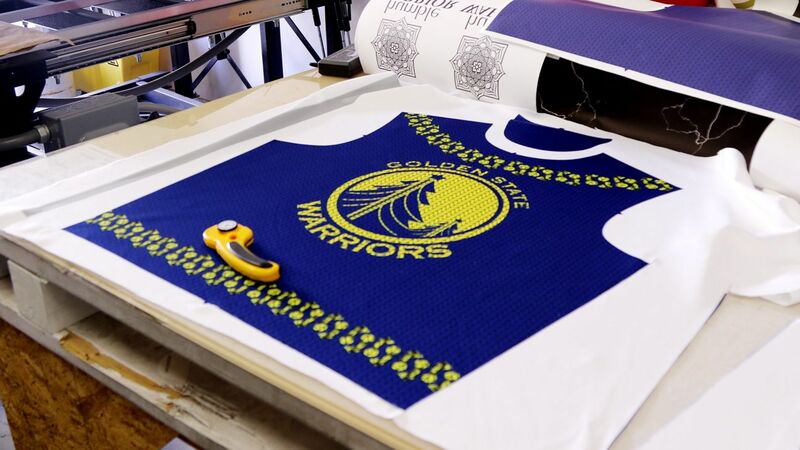 These are the champs -- trophies, trophies -- and coming from the Bay area and loving the Warriors and just loving the Bay Area, we just wanted to make sure that not only we honor them with the signature, 'Here's your trophy,' but kind of, like, outlining the neck like a wreath. Just taking a wreath approach with the championship trophies because that's all that is on their mind. And as a collective, that's it. Warrior defines winning. We like the team. We love John Wall. We didn't want to make it too much about John Wall and Bradley Beal, but for us, it's just a wonderland. We don't know what they will become, but we know they are an established team, and so they're in their own world. They control their own destiny. 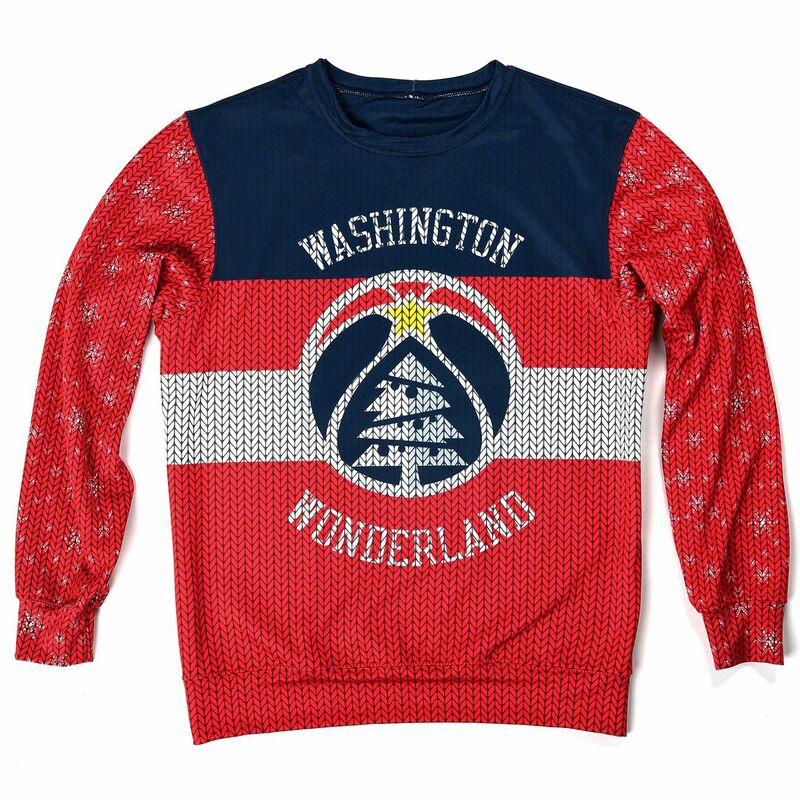 So that's why we went with Washington and the whole wonderland. They are in this bubble that only they can control how good they can become. We just really wanted to do something fun and something classic that paid homage to the classic Boston Celtics and its history and nostalgia. 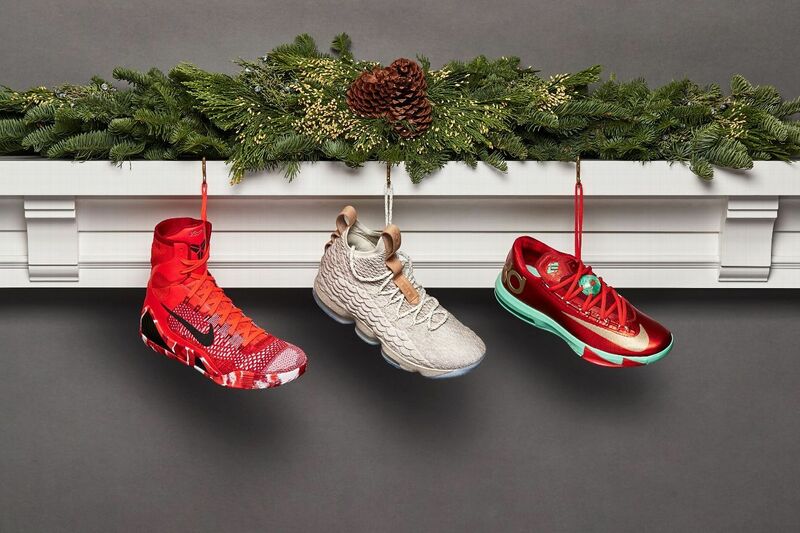 We went with these ornaments because the Celtics are playing that classic Celtics basketball -- that defensive-oriented and exciting, fast offense -- and we thought that it would be dope to do something that is traditional yet forward-thinking. With their team, they're explosive. They're so fun, they're so colorful. 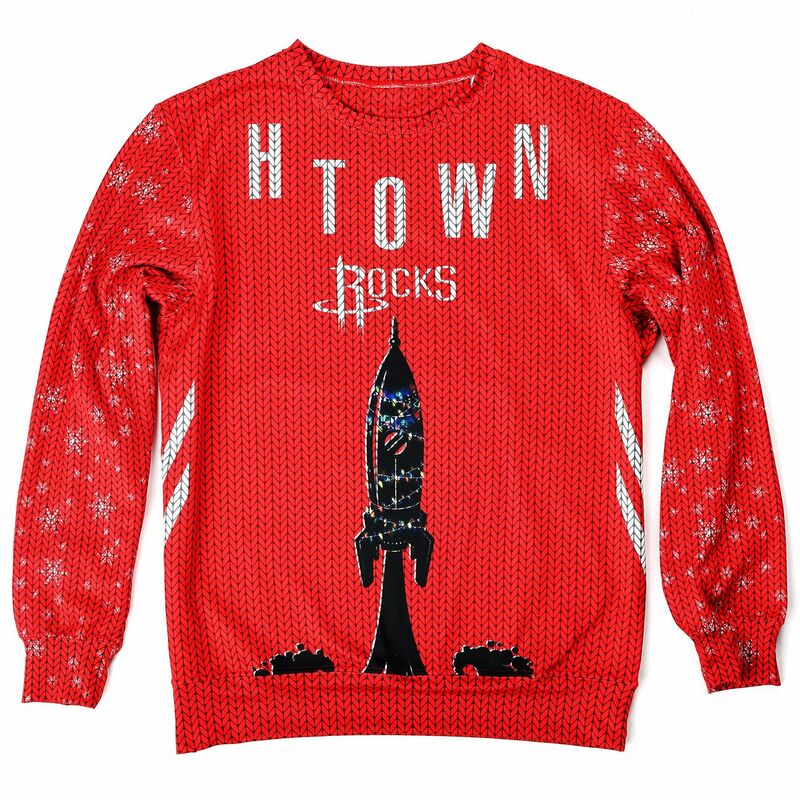 We wanted to bring color and illuminate the Rocket ship and show that it has a Christmas tree ornament and this bigger element that it's shooting from the atmosphere -- just to stick with the theme of the Rockets. But the fun and excitement is that they're an explosive team when it comes to scoring. There's a silhouette of Paul George, Russell Westbrook and Carmelo [Anthony]. Kinda like their new big three. 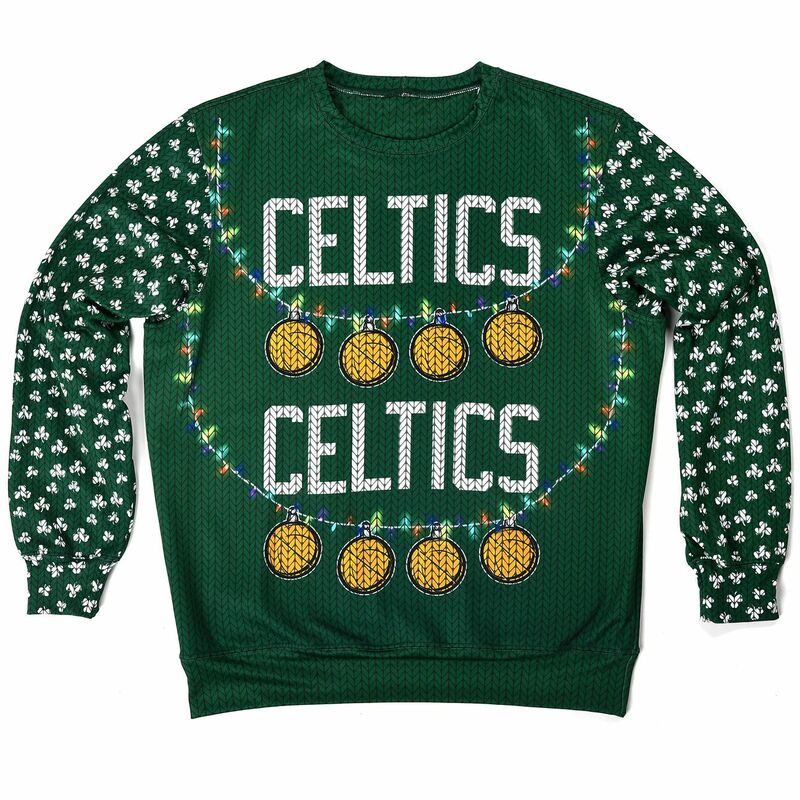 For me, I look at Christmas Day as the day the NBA season starts because you had a good month and half, two months to learn your teammates and really understand [them]. After this, you'll see teams really start to position themselves to make playoff push, so with their big three, you know it's going to be a lot of Thunder and a lot of lightning. They have the explosion. They have three explosive guys, and either one of those guys can beat you by themselves. So I think with the lightning, it's the electricity in the air in Oklahoma City, but more importantly, how do these three guys bring it all together and create that incredible lightning rod? We did this for Omri Casspi. We didn't want to leave him out. 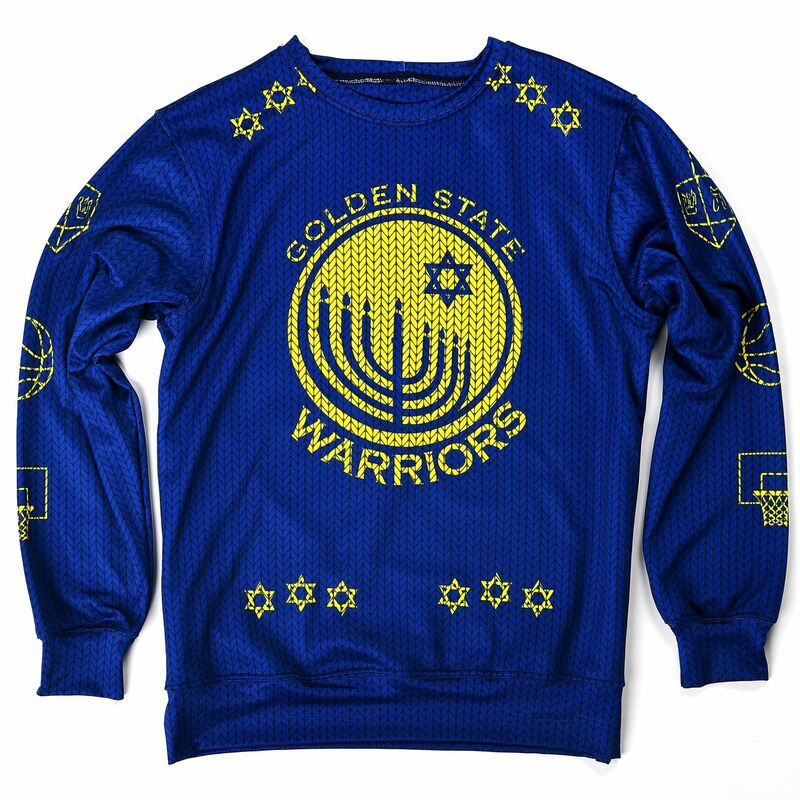 Casspi is the only Israeli player in the NBA, so we made this incredible sweater for him to celebrate Hanukkah and the Jewish tradition.